Group Captain Vinay Kaushal (Retd) was commissioned in the Accounts Branch of IAF in July 1975 and superannuated in May 2010. He held varied appointments in field formations, staff appointments at Air HQs and instructional appointment in training formation during his service career where he made substantial contributions in enhancing the level of services provided and changing the procedures through innovative methods to bring about efficiency and cost savings. He was commended by AOC-in-C Eastern Air Command in 1991 and by the Chief of Air Staff in 1998. For his distinguished services of very high order, he was conferred the Presidential award of Vishisht Seva Medal in 2006. He refined the costing of major activities of IAF and piloted the use of “Cost of Ownership’ model and “Life Cycle Cost” for acquisition. 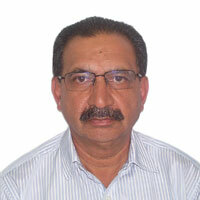 Presently he is Consultant with IDSA. The government decided to do away with the five year planning process in 2014. Therefore, there is no 13th plan. Despite this, MoD has gone ahead and formulated the 13th five year plan and submitted it to MoF for information only. Thus, the dilemma of defence planning and budget continues. Defence Budget under stress: Can 2018-19 be the catalyst for change? Innovative ways will have to be examined and existing systems, practices and procedures need to be questioned for finding optimum solutions to relieve budget stress. High Fuel Prices: Does the End Justify the Means? The contentious discourse in the media ignores the implications of state taxes on rising fuel prices. The past decade, and in particular the Twelfth Plan period, have been challenging times for the Indian defence budget. Strategic foresight demands that India’s military strength and capabilities relate to diverse challenges by way of a not unlikely two-front war, the attendant imperatives for a ‘Cold Start’ capability, non-conventional challenges from non-state actors, counter-terrorism capabilities and unavoidable internal security responsibilities. If the defence expenditure relationship to the GDP of 1.65 per cent is maintained, we may see a budget estimate (BE) for defence expenditure of Rs. 285,000 crores, against the current year BE of Rs. 249,099 crores. The presentation of the Union budget on February 1 is expected to ensure full utilisation of allocated funds and will ensure that ‘New Schemes’ can be processed, approved and contracted from April 1, 2017. India’s Defence Budget 2017-18: Should Alarm Bells Ring? The share of defence expenditure in 2016-17 has gone below the levels it was in 1955-56. In 2017-18 it will go down to 1.557 per cent of GDP.